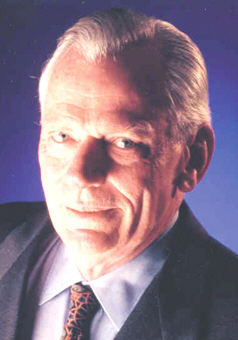 저가 항공사 사우스웨스트의 전 회장 허브 캘러허(Herb Kelleher). 저렴한 비행기 요금으로 미국은 물론 전 세계에 저가항공특수를 불러온 주인공인 그는 젊은 시절 법원에 근무하며 나름의 성공방정식을 파악했다고 한다. 스타일이 극과극인 변호사 두 명을 지켜보며, 성공에도 제 3의 길이 존재한다는 사실을 깨달았다는 것. ●A motivated employee treats the customer well. The customer is happy so they keep coming back, which pleases the shareholders. 성취동기가 높은 근로자들은 고객들을 가족처럼 대한다. 서비스에 만족한 고객들이 다시 올 것이고, 주주들은 기뻐할 것이다. ●A company is stronger if it is bound by love rather than by fear. 회사는 무엇으로 움직이는가. 그것은 바로 사랑이다. 공포 따위는 설 자리가 없다. ●Most people think of us as this flamboyant airline, but we’re really very conservative from the fiscal standpoint. 사람들은 사우스웨스트를 튀고 싶어 안달이 난 항공사로 보는 경향이 있다. 하지만 우리는 매우 보수적인 회사이다. 적어도 자금운용에 관한 한 그렇다. ●We never got dangerously in debt and never let costs get out of hand. 우리는 과도한 부채를 지거나, 비용이 통제 불가능한 상태로 치솟는 것을 허용한 바 없다. ●Succession planning has been a major priority at Southwest for quite some time. We have come up with a winning combination of talent for our company reorganization. 조직의 물갈이가 사우스웨스트항공의 첫 번째 과제였다. 우리는 조직 재편을 담당할 훌륭한 인재풀을 확보하고 있다. ●When you and your organization are true to yourselves -when you deliver results and a singular experience -customers can spot it from 30,000 feet. 스스로에게 충실해보라. 고객들에게 훌륭한 경험을 제공해 보라. 그들은 3만피트 밖에서도 당신을 찾아낼 것이다. ●There are many different paths, not one right path. That’s true of leadership as well. 길이 하나인 것은 아니다. 올바른 리더십에도 정답은 없다. 여러 가지 형태를 취할 수 있다.